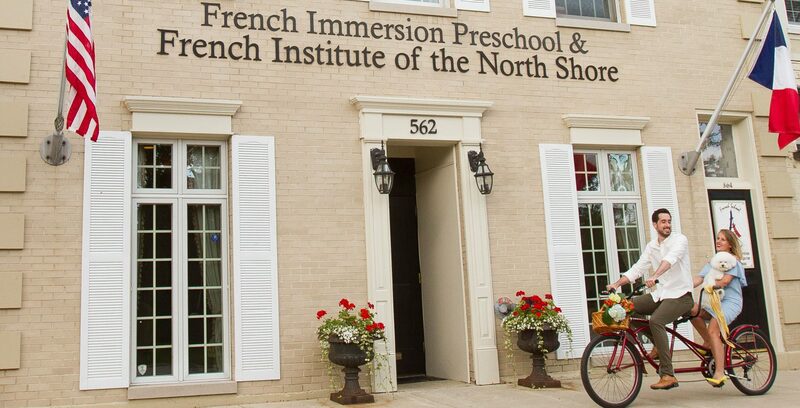 Whether this is your first exposure to learning French or you just want to brush up from years past, our motivating approach and warm setting will inspire you to achieve your goal to speak French. 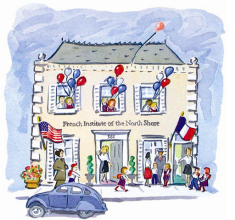 Our native French-speaking teachers enhance each class with their first-hand knowledge of the nuances of their language and culture. 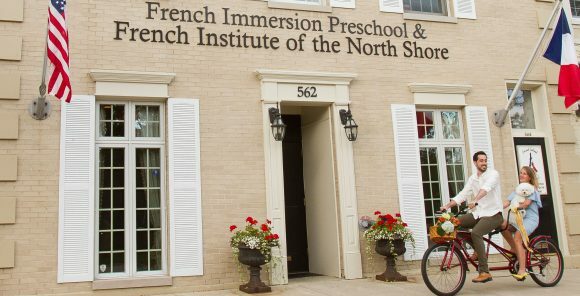 Supplementing our language courses, the French Institute of the North Shore offers food and wine tastings, literary events, French holiday celebrations and travel recommendations in addition to an extensive media library that is complementary for our clients. Read and order off a French menu: know what a gigot d’agneau is, and effortlessly pronounce it. Shop at a French supermarket: gather ingredients for ratatouille faster than you can say bon appétit! Speak in the past, present and future tense: tell the sales associate at Galeries Lafayette that you saw a lovely outfit in their window, you want to purchase it, and you’re going to wear it to a three-star restaurant tonight! Join our French for Travelers class to learn the essentials to make the most of your next trip to France! Spring Quarter runs April 1st – June 8th, 2019. Reserve your place in class today! Level 1, 2, and 3 Audio Lessons Now Available for Purchase and Download on CD Baby.